The great battle between which is better Green Juicing or Green Blending may have finally come to an end. Both have different attributes and are great in their own ways, but until recently there has never been any scientific data backing one or the other. Our friends over at Juicing Science have finally provided us with the answer. Feel free to read below for the answer to this great debate or you can find the article here. Welcome to Juicing Science, a site filled with what we believe are critical yet missing ingredients in the world of juicing and blending, … facts. From the different vitamin contents of green juices and green smoothies, to the precise temperature transfer of slow juiced carrots versus fast juiced carrots, this site shares findings from over a decade of laboratory tests, clinical trials, nutritional data and expert advice. And yes, this is a juicing and blending website that’s really not trying to sell you something. This site is about real science, to help empower people to make better nutritional choices. So who are we? We have worked in the product development team for Breville, a food thinking kitchen appliance company, for the last 12 years. 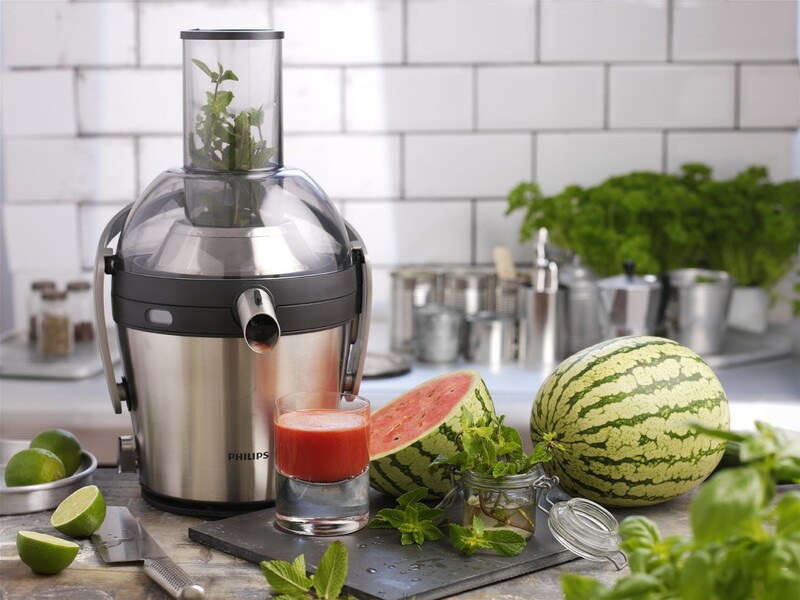 We’ve overseen the design of numerous kitchen appliances, and you could say we’re also Breville’s resident experts on juicing and blending. We have both been touched by close family and friends struggling with illnesses such as cancer, heart disease and autoimmune disease. We helped as they studied what they should eat to help their body fight these diseases; to get well and remain well. We noticed how difficult it was for them to decipher all the information available, and how often experts contradicted each other. While there was a lot of discussion about juicing and blending in relation to health, much of it was at complete odds with our personal experience. The further we looked into it we found that much of the information didn’t seem to be based on any studies or facts we could find. So we’ve commissioned seven lab tests and studies1 (with two more on the way), talked to hundreds of chefs, doctors and nutritionists around the world, and have learnt quite a lot about what separates pulp fact from pulp fiction. We’ve been shocked by both a ground swell of false nutritional claims and by seeing countless consumers, including our own families and friends, start to accept juicing and blending myths we know to be false. Collectively, we thought that something had to be done. So over the next six months we’ll be constantly updating this site with more and more information to help you make better choices based on facts. And while we may love our products almost as much as we do our children, unlike most juicing and blending sites, we represent fast juicers, slow juicers, citrus presses, and blenders. We make one or more of each of them, they each have hundreds of 5 star consumer reviews2, most are ranked No. 1 in performance by several independent test labs3, and they’re all very good sellers. So we don’t have a vested interest in whether you buy a blender, fast juicer or slow juicer. We hope this site is of some help on your nutritional journey. Confused? The above commentaries, both from respected figures could not be more contradictory. One claims blenders kill up to 90% of the nutrition. The other claims that they can actually turn ordinary foods into ‘super foods’. Dr. Brian Clement, of the first quote above, runs a medical clinic focused on using high nutrition diets to treat illness. He claims that his statistics are backed by data, tests, and field trials conducted at his institution, as well as MIT and other leading universities. He says he drinks a quart and a half of green juice every day because juicing is much more nutritious than blending. David Wolfe is a successful author of several books about health and nutrition. He has not provided evidence or a link to studies to support this particular claim about how blending foods enhances their nutrition in any public forum as far as we are aware, but proclaims that blending is the best way to realise the nutrition from food. So, how can two respected figures support theories that are so radically opposed? We were perplexed by the same question, so we commissioned laboratory tests in December 2013 from the Australian Government National Measurement Institute in Melbourne. The testing revealed that green juice made in a juice extractor contains up to twice the concentration of key nutrients (Vitamin C, Beta Carotene) than the same ingredients blended together in the leading commercial blender, supporting Dr. Clement’s findings. It also revealed that different types of blenders performed better at protecting nutrients than others. Dr. Clement believes that the better they blend, the worse they are for nutrition. As a general trend this may be true, but we found that it was also possible to achieve significantly improved nutrient retention in a high performance blender by circulating the ingredients more aggressively to share the processing load more evenly. Furthermore, we estimate the nutrient destruction of the most damaging high powered blender tested was between 23% – 63% for Vitamin C, Calcium and Potassium4 (and less again for some minerals) with another high powered blender causing less nutritional damage. So the nutrient destruction was not the 90% Dr. Clement refers to. This could be because our tests involved blending the ingredients for 60 seconds, not 2 minutes like Dr. Clement. We used a 60 second blend time as most green smoothie recipes in high performance blenders require about 60 to 70 seconds to achieve a lump free texture, so we didn’t think blending for two minutes would be representative of normal at home use. Here’s what happens to the nutrient concentration in a green juice vs. a green smoothie for each of Calcium, Magnesium, Potassium, Vitamin C and Vitamin A (as measured using Alpha and Beta Carotene RAE). The green juice, made in the best performing fast juicer (Breville BJE410 Juicer) had a concentration of 142% more Vitamin C, 73% more Alpha Carotene, 109% more Beta Carotene and 54% more Potassium than a green smoothie blended for 60 seconds in the leading commercial blender (Vitamix 5200 Blender). Each of the green drinks was made from the same ingredients (kale, oranges, celery, carrots and apples) however water was added to the blender to allow the ingredients to combine. To perform the test using a blender it’s usually necessary to add water so the ingredients will combine into a drinkable result. Virtually all green smoothie recipes require added liquid for this reason. But while the end result consists of about 21% added water, the vitamin and mineral concentration is reduced by a much greater amount, indicating that the act of blending is reducing the nutrient yield. Even when compensating for the added water, juice from the juice extractor still has almost double the Vitamin C and significantly more of some of the other nutrients than its blended alternative, as can be seen in the adjusted chart removing the dilution impact shown below. However, it’s worth pointing out that the smoothie does equally as well with Magnesium, and actually has a slightly higher Calcium concentration than the green juice, even before adjusting for added water. Unfortunately though, while leafy greens are high in Calcium, not enough of the Calcium is retained by either juicing or blending to get close to the Recommended Daily Intake (RDI)5. A 100g piece of low fat mozzarella for example, contains about 10 times more Calcium than a 250g green smoothie6. Based on Dr. Clement’s findings on blenders versus the Australian Government National Measurement Institute, it seems that the length of the processing time may be a big factor in nutrient destruction. Dr. Clement claims that blending for 2 minutes destroys 90% of the nutrients. Based on the Australian Government National Measurement Institute test results, we believe that blending for 1 minute destroyed about 23% – 63% of the available Vitamin C, Carotenes, Calcium and Potassium4, but less of other minerals. Our test results support Dr Clement’s observations that blending damages some of the vitamins and minerals and comparing the results suggests that the length of processing is quite important. So what happened to the vitamins and minerals? Well, a lot of vitamins and minerals are volatile. The moment you remove a fruit or vegetable from the ground or tree, it begins to lose nutrients. As it sits on the supermarket shelf, it loses nutrients. When you cut it into smaller pieces, it loses nutrients. When you cook it, it loses nutrients. And when you juice it, or blend it, it also loses nutrients40. A blender creates more heat than a juicer, but even so, they only get up to a maximum of about 28 degrees C, not enough to cause significant vitamin or enzyme damage7. So, Dr. Clement’s opinion that oxidation (air pushing into the cells) is what causes most nutrient damage when blending, makes sense to us based on our research on the subject and the findings of our laboratory tests41. The best fast juicers8, by comparison, process ingredients for about one tenth of a second from the moment the food cells first hit the cutting surface, until their juice has passed through the filter9. One tenth of a second of total processing time is roughly 600 times less than a blender and about 20 to 30 times less than a slow juicer10. We estimate that both fast and slow juicers (which are roughly equivalent from a nutritional yield perspective), average vitamin and mineral concentrations of between 75% and 85% of what exists in the whole fruit or vegetable11, but, like blending, this differs enormously from ingredient to ingredient and nutrient to nutrient. The green smoothie results are particularly interesting when you examine the nutrition from a typical serving size (250g)6 and what that means in terms of the required daily intake (RDI)5 for the key nutrients. The green juice delivered between 83% and 85% of the RDI5 of Vitamin C and Carotenes (Vitamin A equivalent), more than double that of the smoothie. The fact that there is over 80% of your daily requirements of several key nutrients in one glass of green juice suggests that it is a far superior alternative to taking vitamin supplements. Clinical studies on vitamin supplements show they have little to no benefit to health and longevity and may actually be harmful12. 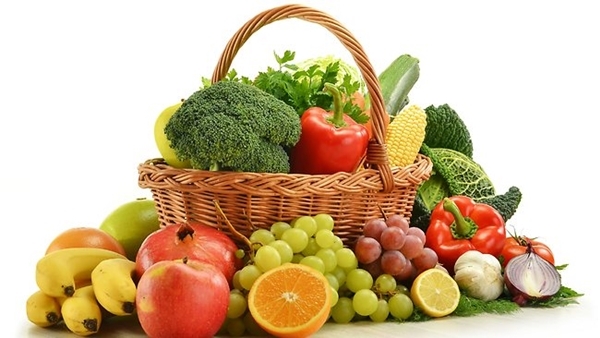 Multiple studies however, link increased fruit and vegetable intake to a significantly longer life expectancy and lower rates of heart disease, stroke and cancer14. Based on the green juice nutrient concentrations versus the published vitamin and mineral RDIs, there is certainly a case to be made for green juice becoming part of everybody’s daily routine. One obvious omission from the data on green smoothies versus green juice in this section is fibre. Blended drinks contain about 1.5% fibre by weight15, approximately three to four times more than juice (but a very small amount of the recommended daily intake). Because of the controversy surrounding the role of fibre in juice and smoothies we discuss fibre in far more detail in another section of this site. As evidenced in the quotes shown above, some marketers have formed radically opposing views on the health and nutrition benefits of the different types of juicers. Luckily, this area has been well researched and the answer is all but beyond repute. And that is, … the nutritional difference between the best fast juicer8 and the best slow juicer16 is…. virtually nothing at all. Really? Yes, really! Because fast juicers process ingredients for such a short time, the faster spinning speed makes no noticeable difference to the nutrition of the juice versus using a slow juicer. Slow juicer advocates have not been able to show higher temperature transfer from the best performing fast juicer8 versus the best performing slow juicer16, nor demonstrate any damage to enzymes by fast juicers in any study we’ve been able to find. 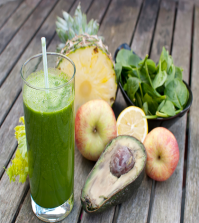 Slow juice being healthier than fast juice is well and truly an incorrect urban myth yet some slow juice advocates have recently taken advantage of this to help sell more juicers. Some slow juicer manufacturers even claim they have supporting lab test results, yet if they do they either don’t name the fast (centrifugal) juicer they’ve tested against or if they do name them the nominated fast juicer is a relatively obscure one17. As a company that sells both types of juicers (as well as blenders), we believe we can say with minimal bias that there is no clear overall difference in the health benefits of either when you use the best performing fast and slow juicers. To clarify, there are substantial differences between the best performing fast juicer and the worst performing fast juicer18, but it is not the juicing system itself that causes the difference, but rather the overall quality and design of the product. To validate the differences between quality fast and slow juicers, we have made the full, nutritional test results between the fast and slow juicers we’ve had tested, available for review on this site. Of course it’s not as simple as saying that all nutrient concentrations from fast and slow juicers are always exactly the same. When juicing some ingredients, some nutrients show variations between the two types of juicers. We’ve seen test results for example, where the Breville (fast) Juice Fountains have yielded an average Iron concentration 78% higher than that of a leading slow juicer from spinach leaves19. Yet the same slow juicer that yielded a significantly lower concentration of Iron19, yielded a 60% higher concentration of Vitamin B1 from the same ingredient. But these are rare and unusual examples and not indicative of what happens for the majority of nutrients with the majority of ingredients. For example, while fast juicers produced a lower Vitamin B1 concentration from spinach, they produced higher Vitamin B1 concentration than the slow juicer from apples, carrots and tomatoes. And while slow juicers produced lower iron concentrations from spinach and apples, they yielded higher Iron concentrations than the fast juicers from celery, carrots and tomatoes. So, if someone’s goal is to sell a slow juicer by any means possible, they could point to the isolated result of Vitamin B1 content in spinach as evidence that slow juicers produce healthier juice. And fast juicer manufacturers could point to iron content in apple or spinach juice as evidence of their juice being better for you. But, in both cases, this messaging is misleading, as all of the test results we’ve reviewed suggest this is not all representative of what typically happens across a variety of fruits and vegetables and looking at one vitamin in isolation of all others does not fairly take into consideration how different compounds and enzymes in fruits and vegetables work together to enrich our cells and immune systems. The above table shows the average temperature and nutrient content of the whole ingredients before they are juiced, as well as the temperature, juice yield and nutrient content of the ingredients after they are juiced in both a fast and slow juicer. The differential between the fast and slow juicer is also shown in the bottom row with the best performing product highlighted in green. Savvy analysts will note that the concentration of iron from the fast juicer, and the concentration of carotenes from both juicers are higher in the juice than in the whole ingredients. This is not unusual. Carotene content in carrots is enhanced through processing20. We believe the increase in iron which is much less significant, is probably due to a slightly higher ratio of iron in the juice versus the discarded pulp. As can be seen above, Calcium, Vitamin C and Vitamin B1 undergo the largest reduction in concentration in going from whole ingredient to juice. Even so, between 44% and 80% of their original concentration is maintained in the juice. 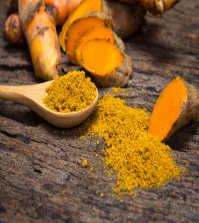 Alpha and Beta Carotene are both significantly enhanced in concentration through processing (as they are through cooking12) and in some cases, Iron and Magnesium concentrations have increased in concentration slightly also. The average concentration versus the whole ingredient for the eight vitamins and minerals tested was 109% for fast juicers and 98% for slow juicers. However, this number is somewhat distorted by the enhancement of the Alpha and Beta Carotene concentrations. In the last column, the averages are shown excluding the Carotenes and are 82% and 83% respectively. So, on average, excluding Carotenes, the nutrient concentrations were reduced by less than 20% in going from whole ingredient to juice, with a 1% difference between the two juicing systems. As can be shown above, the differences between fast and slow juicers, even when looked at by individual ingredients, is minimal. Sometimes the average slightly favours fast juicers and sometimes it slightly favours slow juicers. But overall, it is virtually impossible to say that one produced a more nutritious juice than the other, nor does either do a noticeably better job at protecting the key vitamins and minerals than the other. What’s also interesting is that, apart from apples, all of the average concentrations of the juices were a minimum of 75% of the nutrient concentrations of the whole ingredient, meaning in most cases that drinking the freshly juiced juice from the fruit or vegetable is almost as nutritious as eating the food whole. Fast juicers yielded an average of 63% of the weight of the whole fruits and vegetables and the slow juicer averaged 65% of the original weight before straining excess pulp. To put this in perspective, a normal sized glass (250mls)6 of slow juiced juice from these five ingredients would contain about two teaspoons more juice than the juice from a fast juicer which would take a trained eye to tell the difference. However, the results varied from ingredient to ingredient with the fast juicer yielding 22% more juice from carrots, and the slow juicer yielding 14% more juice from spinach. Both types of juicers can juice the same ingredients (they can both do leafy greens, grasses, soft and hard fruits13) and overall the differences across a variety of fruits and vegetables are minimal13. Fast juicers averaged 0.85 degrees C temperature transfer, and slow juicers averaged 1.1 degrees C temperature transfer, a difference of a quarter of a degree Celsius. The fast juicer transferred slightly less heat on carrots, celery and tomatoes and the slow juicer transferred slightly less on apples and spinach. Neither produced heat transfer of any significance⁷ on any fruit or vegetable and overall, contrary to popular belief, fast juicers transferred less heat. Fast juicers produced 11% higher concentrations of Alpha Carotene, 10% higher concentrations of Beta Carotene, and 47% higher concentrations of Iron than the slow juicer on average. The slow juicer produced 16% higher concentrations of Vitamin C, 34% higher concentrations of Vitamin B1, 13% higher concentrations of Calcium and 10% higher concentrations of Magnesium. They both yielded the same concentrations of Potassium on average. However, while fast juicers produced higher Alpha Carotene, Beta Carotene and Iron levels on average, slow juicers had higher levels of Iron on 3 of the 5 ingredients tested. And while slow juicers had higher Vitamin C, B1, Calcium and Magnesium levels on average, fast juicers had higher Vitamin C levels than slow juicers from apples, celery and tomatoes, higher Vitamin B1 levels than slow juicers from apples, carrots and tomatoes, higher Calcium levels than slow juicers from spinach, and higher Magnesium levels than slow juicers from tomatoes and celery. Potassium levels while the same on average, also deviated from ingredient to ingredient. The only vitamins where one juicer always had an advantage over the other were Alpha and Beta Carotene where the fast juicer always produced a higher concentration, but even then the differences were not significant. Overall, it is difficult to separate the two from a nutritional perspective. Results for nutrient loss over time were conducted in another study (two studies in total) also published on this site (Green Juice vs. Green Smoothies) and varied from fruit to fruit and vitamin to vitamin but the rate of deterioration was very similar, if anything indicating a longer life for some nutrients in juice from a fast juicer. We have seen no evidence that suggests that juice made in a slow juicer is safer or healthier to store for a longer period than a fast juicer. Both maintain nutrients for approximately the same period of time. Juice from leafy greens loses nutrients much faster than other types of juice, especially citrus, but most nutrients in all types of juice we’ve tested deteriorate at a similar rate regardless of whether a fast or slow juicer is used to make it. Some slow juicer advocates point to juice separation (the coloured pigments of the juice sitting on top of the clearer liquid to form a visible layer in the glass) that happens faster in fast juiced juice than slow juiced juice as proof that the juice is of poorer quality. This is not correct and separated juice can easily be recombined by gently stirring. Results for dissolved oxygen testing date back to 2003 (so we will likely repeat these again soon). These tests measured oxygen trapped inside the juice as well as froth on top of the juice, as it is the oxygen trapped inside the juice that causes the most oxidation. Only apples and carrots were tested. Both types of juicers had the same dissolved oxygen content on apple juice but slow juicers had up to four times the dissolved oxygen in carrot juice, even though the fast juiced carrot juice produced more froth on top of the juice21. In the 2012 study, fast juicers produced more froth on average, but slow juicers produced 33% more froth than fast juicers when making spinach juice. It is not accurate to say one always creates more froth than the other nor can you correlate froth to nutritional yield or juice preservation. As shown in table 1, slow juicers produce more heat on average, yield lower concentrations of some vitamins and minerals, and higher concentrations of others. Any inference that juice from a slow juicer is either “cold pressed” (which is a totally different commercial process for making juice unrelated to slow juicing) or “healthier”, is at best an uneducated guess, or at worst, a deliberate attempt to mislead. But why are some of the individual nutrient results on some ingredients so different? Well we can’t say with absolute certainty but after 12 years of testing we believe that raw fruits and vegetables are complex, living ingredients whose behaviour varies from food to food. And looking at Vitamin C content in isolation in a spinach leaf is a gross simplification of the potential health benefits of the food. There can be up to thousands of different phytochemicals23 as well as enzymes, vitamins and minerals that coexist inside a fruit or vegetable and science is yet to discover which of them, or which combination of them, is most responsible for lengthening life expectancy or reducing disease risk. We have not and cannot test for all of them, but believe that these test results are likely to be a good indication of how ‘alive’ the whole juice is and that both fast and slow juice are both likely to be rich in a vast array of enzymes and phytochemicals. It is little wonder that taking refined vitamin supplement tablets in isolation from the living fruit or vegetable has no impact on improving life expectancy or disease risk12. It is our contention that comparing a spinach leaf with a vitamin supplement is like comparing a human being with a toy doll. One is alive and the other is not. It makes sense that the fresh unprocessed ingredient is going to be better for you. But fresh ingredients can behave unpredictably which is why sometimes some vitamins and minerals respond better to a fast juicer than a slow juicer and vice versa. But if you look at the vitamin and mineral concentrations holistically across a variety of fruits and vegetables, there is very little difference and, if anything, the tests suggest that much of the information currently circulating about fast juicers are myths. A recent theory about juicing states that because fibre can slow down nutrient absorption, drinking juice without the fibre could increase the risk of weight gain and diabetes by allowing sugars to be absorbed more quickly24. Others believe that removing the fibre is a wasted opportunity to increase fibre consumption in your diet25. Conversely, some juicing advocates believe that removing the fibre is healthier because it prevents fermentation of the juices in the stomach and improves vitamin and mineral absorption26 during digestion. As fibre is the solid, pulpy part of the food, about 75% of it is ejected into the pulp container during juicing. Blended fruits and vegetables however, retain all of the fibre. Less fibre makes juices less lumpy and easier to drink, but are smoothies better for you because of the added fibre inside? Well, from a blood sugar and weight gain perspective, no they are not. Juicing enthusiasts have broadly demonstrated weight loss results just as extensive as blender users (if in doubt, watch the award winning documentary ‘Fat, Sick & Nearly Dead’). And removing the fibre has almost no impact to how quickly the sugars, and other carbohydrates, are converted into blood sugar after consumption. Furthermore, the ‘healthier’, commonly juiced ingredients do not have sufficient carbohydrates27 to cause blood sugar spikes unless consumed in enormous quantities (think 10L / 2 and a half gallons of spinach juice for the same impact as one regular serving of pasta). And, if using a blender, the glycemic (blood sugar) research available to date suggests that it is highly unlikely that the carbohydrates in blended fruits and vegetables convert into blood sugar more slowly than juiced fruits and vegetables. Which fruits and vegetables you blend or juice makes a difference, but with respect to fresh, raw juices or smoothies, we believe that the way in which they’re prepared is of low relevance to blood sugar. Some of these statements may come across as controversial given the speculation on fibre’s role in blood sugar. Please keep reading as we discuss this in much more detail in this section of the site. It is true however, that by juicing fruits and vegetables, as opposed to either blending or eating them whole, does result in a missed opportunity to consume more fibre for those wishing to do so. But the fibre content in whole, commonly juiced fruits and vegetables is often much less than people assume it to be. The role of fibre in the body is also often misunderstood, thanks in part to several advertising campaigns from the 1970’s and 80’s based on false information28. At that point, fibre was thought to help prevent colon cancer, heart disease and weight gain but most of these speculative theories have since been disproven by large scale clinical trials28. Fibre is indigestible by the human body and is hence not absorbed into the blood stream. But fibre does help keep your bowels moving29 and impacts overall digestion and most health regulators still recommend 25 – 30 grams of fibre per day, depending on how many total calories you consume5. In terms of the fibre content in fruits and vegetables, we surveyed our friends and family about kale (the nutrient packed leafy green) for example, and all respondents thought it contained between 25% and 75% fibre. Before we tell you what it really is, here’s a picture of it. What would you guess it to be? As seen above, most commonly juiced fruits and vegetables30 (per consumer surveys on juicing ingredients) range between 0.4% to 2.8% fibre content. So in choosing between a juicer or a blender for green drinks, you need to weigh up how important getting these extra bits of fibre are to you versus the nutrition lost through the blending process. Sugar, like fibre, is a form of carbohydrate. But there are many other types of carbohydrates and all of them, except for fibre, convert to sugar in the blood. The speed at which they do so varies from food to food as is represented by the Glycemic Index number above. The lower the GI score, the slower the conversion of the carbs into blood sugar6. Apples have the highest sugar content and the lowest GI of all foods listed, proving that sugar content alone is not responsible for the elevation of blood sugar levels. Wholemeal (whole wheat) bread has almost three times the fibre and 40% less sugar yet it converts its carbohydrates to blood sugar almost twice as fast as an apple. Carrots with half the sugar and more fibre than the apple, also convert their carbs to blood sugar more quickly. As shown above, fibre, natural sugar levels, and blood sugar are not heavily correlated to overall GI, and this is true across literally hundreds of ingredients that have been tested by research institutions across the world31. While the apple juice’s glycemic index has hardly changed, the orange juice’s has changed from 42 to 55, an increase of 31%, which is significant. And this jump in the orange juice’s GI, along with how much juice people tend to drink per serving, is what some health advisors use as a reference point when they warn against drinking juice. But while this GI result might be relevant to the uneducated supermarket shopper buying reconstituted orange juice, this is not at all representative of at-home juicing. Firstly because fresh juice and juice from concentrate have little in common, and secondly because oranges are higher GI than most other ingredients that are more commonly used in at-home juicing. So how is fresh juice different? Well, it’s a very, very big stretch to say that what we’re looking at in the above charts is representative of the ‘juice’ of the fruit. Juice made in a Breville fast juicer for example, takes about 0.1 of a second from the moment it is first cut by the juicer to the point processing is complete. The fruit hits a cutting disc and the pulp is pushed against a mesh filter separating the pulp from the juice, all in about a tenth of a second9. And that is the beginning and the end of the process. Roughly 1 degree Celsius of heat is transferred see “Lab Tests” for full temperature test results in friction during processing and a very small amount of air (about 0.1 milligrams per kilogram of juice, or 1 /100,000th of a percent21) is introduced, the combination of which causes a small amount of nutritional damage. In a slow juicer, processing lasts for about 3 seconds, roughly 30 times longer but still a minimal amount overall. In a blender, the fruits and vegetables are cut and smashed against the side walls (and one another) multiple times over the course of about 60 seconds, roughly 600 times longer than a fast juicer. More heat is transferred, more oxygen is introduced, and more damage is done to the nutrients. But again, 60 seconds of friction is the extent of the processing. The juice from concentrate in the above glycemic index table has gone through a process similar to that of a juicer, plus up to six additional processes; pasteurisation, dehydration, freezing, thawing, dilution and flavour reconstitution. Pasteurisation involves killing bacteria by heating the juice to at least 75 degrees C (sometimes much higher) usually for a few seconds32. This process kills all of the bacteria, as well as most of the naturally occurring soluble vitamins like Vitamin C, and many B vitamins33. It is also believed to destroy significant amounts of flavonoids and damage proteins such as enzymes34. The second process is dehydration. Dehydration extends shelf life even further and saves money by lowering the shipping weight of the beverage. Dehydration means holding the juice under partial vacuum and at a high temperature for a long period of time to boil off (evaporate) the water within the juice until all that is left is a concentrated syrup or paste. This syrup usually weighs approximately 15% of what it weighed prior to dehydration. The other 85% is evaporated during the dehydration process35. What remains is a paste or syrup that is made up of about 67% sugar with an incredible 85% of the original juice now gone forever. Many, but not all fruit syrups, are then subjected to cold storage. This involves storing the concentrated syrup or paste at approximately minus 12 degrees Celsius36. From pasteurisation to dehydration, to storage, the food cells are subjected to total temperature changes of close to 100 degrees C.
The fourth process is thawing the frozen paste just prior to dilution. In the fifth process the syrup is diluted by adding water to the thawed paste to create a drinkable consistency, similar to juice37. Finally, refined vitamins (supplements) like Vitamin C, Calcium, Vitamin D, Omega-3 fatty acids, as well as citric acid and natural flavours (usually derived from orange peels) are added back into the drink to try and replace what was lost during processing38. So the original fruit juice has been heated, evaporated, frozen, thawed, diluted and finally had vitamins and flavours added to make it taste like juice. Quite remarkably, the US, Australian and several other governments, allow this diluted syrup to be called 100% fruit juice39. Carrots have been included in this table because a fresh carrot juice test existed whereas a reconstituted carrot juice test did not. With significantly less processing, the three juices now show a glycemic index much more comparable to the whole fruit. Surprisingly, despite the much lower fibre content, the apple juice’s glycemic index is actually less than that of the whole apple. So the impact on blood sugar of the apple has decreased, albeit marginally, through being turned into fresh apple juice, despite the removal of most of the fibre. This flies in the face of conventional wisdom about fruit juice and demonstrates the problems with comparing fresh, real fruit juice to a heavily processed, diluted syrup. Unfortunately, the more dated food science curriculum, nutritional studies, and clinical field trials do not study freshly extracted fruit and vegetable juice, but rather focus on reconstituted orange juice (diluted syrup), presumably due to its wider availability and commercial importance. The fresh orange juice’s glycemic index has risen from 42 to 46 (about 9%), as opposed to the increase of 31% for diluted orange syrup. And the carrot juice’s GI has also hardly changed versus the whole carrot. So fibre removal in fresh juice is not nearly the blood sugar issue it’s sometimes made out to be. 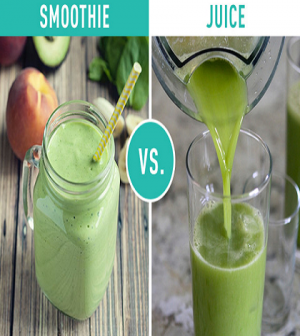 So what about blended smoothies versus juice extracted in a juice extractor? There has been no glycemic index testing completed on blended fruit and vegetables as far as we’re aware. However, based on the above findings, it is hard to imagine that a blended juice could have a significantly different glycemic index to the same ingredients processed in a juice extractor because; a) it is highly unlikely that the additional processing will lower the glycemic index of the ingredients (it is more likely to increase it) and b) fresh juice is virtually the same GI as the whole fruit already so there is little to no room for improvement. One potential GI benefit of blenders though is the tendency to add water when blending to try and achieve a drinkable consistency. Filtered water contains no carbohydrates and therefore a zero GI, meaning it acts to dilute the total GI of the finished product. Juicing advocates counter this by saying you can dilute juice with water also. Either way, whether you juice or blend, the results are relatively low from a GI perspective with or without the fibre. But perhaps the most important factor to consider when comparing home made juice to store bought orange juice, is that people juicing for health tend to juice vegetables and leafy greens as much or more as they do oranges30. Whether you’re looking to blend or juice, we’d thoroughly recommend using a high concentration of leafy greens, as these are the most nutrient dense ingredients27. Leafy greens like spinach have an estimated glycemic index of 15 (about a third of oranges), and about seven times less total carbohydrates22. Although we don’t have GI data comparing spinach juice to whole spinach, based on how similar the GI is for juice versus whole fruit with apples, carrots and oranges, we estimate you can drink about 20 times as much spinach juice as you can orange juice, for the same impact on blood sugar. To put that in perspective, that’s about 10 litres (2 and a half gallons) of spinach juice to achieve the same blood sugar impact as a standard serving of pasta! So, whether it’s juiced or blended, don’t let anyone talk you out of liquid spinach or from juicing other leafy greens. A glycemic load above 11 is considered medium, and a glycemic load above 20 is considered high. The established serving sizes for GL calculations are 250 mls (about 8 ozs), more than double what is considered a normal serving size when consuming the fruit or vegetable whole. In our experience we would agree with this conclusion and have found that it is a lot easier to consume the juice of most harder or leafier fruits and vegetables than it is to eat them whole. Apple, orange and carrot juice are all still a lot lower than most other carbohydrate servings and about half that of a normal serving of rice, pasta or cornflakes despite the larger serving size. So an extra bowl of rice (white or brown) is a much greater threat to blood sugar than an extra glass of juice or smoothie. And when you consider the even lower GI of ingredients like leafy greens, home made juice and smoothies are a very, very low risk to blood sugar, with even orange juice having a low to moderate glycemic impact compared to most other carb sources. But for the growing number of people juicing as a meal replacement or to maximise nutrients, they may wish to consume more than 250mls at once. If you double the serving sizes for example, you double the glycemic load, and this starts to get the glycemic load of the highest GI juices (apples, oranges and carrots) into the high range, similar to that of a serving of rice, pasta or cornflakes. Introduce lots of leafy greens like spinach and chard (silverbeet) which have about a seventh of the net carb content of apples and about a third of the GI. This will allow you to drink huge quantities without causing any blood sugar elevations. If you’re juicing or blending mainly leafy greens, drink as much as you’d like. If you are going to juice mostly fruits or starchy vegetables like carrots all of which have higher GI levels than greens, try to cap your intake to about 500mls (13ozs) at once, and do not consume more than 250mls at the same time as consuming high carbohydrate sources like rice, potatoes, pasta, or cereal. If you are juicing or blending for meal replacements and like to use a lot of fruit as opposed to vegetables, take a 90 minute break or more between drinks. Better still, try to incorporate some leafy greens into the mix. Print off this information and show it to your friends so they understand the facts about fibre, blood sugar and juice so it’s harder for them to make you feel guilty about getting healthy. There is nothing unhealthy about drinking fresh fruit and vegetable juice! 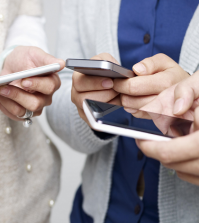 For further information, we have provided below, links to download the full studies performed by the Australian Government National Measurement Institute under the commission of Breville.